From the inside front fly leaf: A previous local historian once said that Maidenhead has not had a very striking history. But Bob Crew takes the view that Maidenhead's history can be described if not as striking, then certainly as startling. 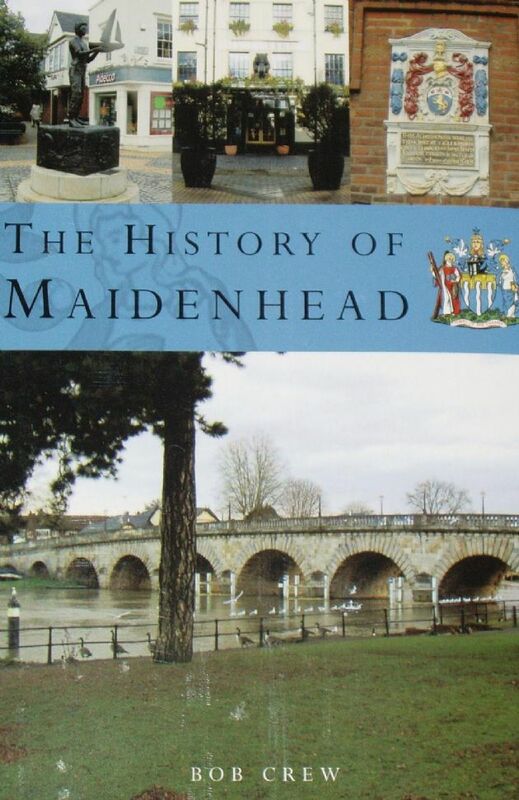 In this visionary and lively history of Maidenhead, Bob Crew raises local history to a new height by making regional, national and international connections that local historians seldom, if ever, make. He explains how local history can be told on both or just one of two levels - the purely local or the national and international. He takes the latter course, enabling the people of Maidenhead to see themselves in a completely new light. By holding up a national and international mirror to his readers that reflects Maidenhead's local history in a new way, he challenges who it is that Maidenhead people think that they are. This is a thought-provoking and intellectually-rigorous history that refuses to take things for granted, as it puts the town in a far less parochial context than hitherto and makes new discoveries not formerly known.